I know it feels like it was just Valentine’s Day, but Easter is coming up quick! We’ve got some great ideas for celebrating in style while keeping your festivities eco-friendly and natural. 1. Fill a reusable Easter basket. Plastic, throw-away baskets are the fast fashion of the Easter Holiday. Pass on plastic baskets if you’re trying to reduce waste! Instead, choose a basket that can be used again and again, looks cute, and is biodegradable. Wicker, rattan, and straw baskets are also bio-degradable and so much more earth-friendly. And you can pick up some really cute ones at a thrift store for only a couple bucks, making them even more eco-friendly! 2. 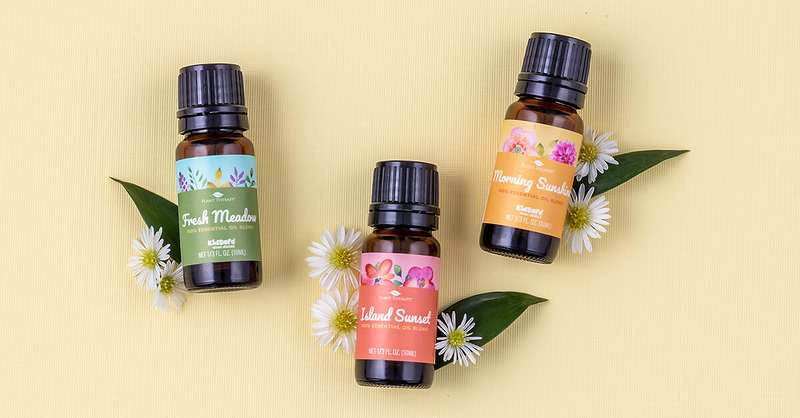 Diffuse essential oils instead of burning candles to bring on the spring mood! It’s time to diffuse something that will get you in the Easter mood! Nothing says Spring like a great floral scent. 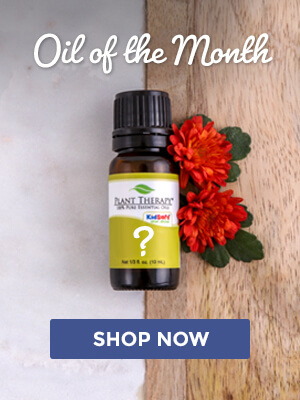 Plus essential oils are an amazing way to help support your green, natural lifestyle! Lavender: Lavender is a classic, fresh scent to remind you of Spring. It’s also great for promoting calm and relaxation. Rose Absolute: Reminding you of a garden in bloom, Rose also has calming properties which help you relax and enjoy your Easter holiday. Ylang Ylang: With a delicate, fresh scent, Ylang Ylang is the perfect floral scent for Easter! It’s sweet, delicious-smelling and helps encourage a great mood. Jasmine: Jasmine is a rich exotic scent that smells like new spring flowers. Jasmine also helps promote warm feelings, love, and feelings of friendship. It’s perfect for the Easter holiday! And of course, you can diffuse our Spring Blends to really set the Easter mood. 3. Use (recycled) paper Easter basket grass. Another thing that’s truly obnoxious, gets everywhere and isn’t eco-friendly? Easter grass. You know what I’m talking about. The thin tangled strips of colored plastic made just for filling up extra space in Easter baskets. Somehow it gets into every nook and cranny of your house and manages to wrap itself around the inside of your vacuum cleaner. Plus the fact that its plastic means it gets a definite thumbs down from the environment. Boycott Easter grass this Easter Sunday and choose one of these eco-friendly natural options instead! In-the-shell peanuts. The shells compostable and the peanuts themselves are a healthy snack. Recycled shredded newspaper (or wrapping paper). Paper is biodegradable and using something that otherwise would be trash gets a thumbs-up from the earth. Skip the grass completely. Because let’s be real, the baskets are all about the treats and toys anyways! 4. Give homemade, eco-friendly or natural gifts! 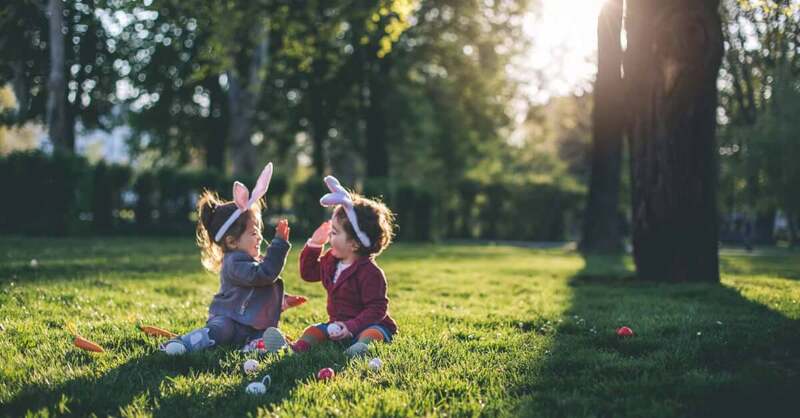 You can also check out our specially curated Easter shop to find everything you’ll need to help you celebrate naturally. And maybe snag yourself some essential oils while you’re filling everyone else’s baskets! 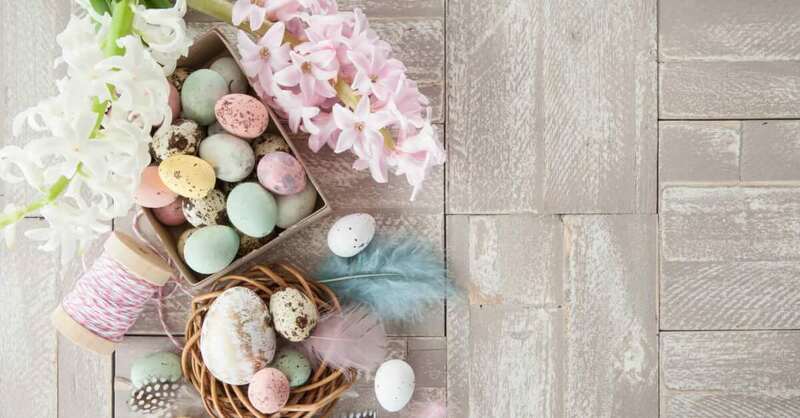 We hope you love these ideas to celebrate Easter in a more eco-friendly, natural and non-toxic way. If you want to learn even more, be sure to check out our Plant Therapy blog for ideas, tips, and education. These are such amazing ideas!! I will be diffusing my Spring set then. Thank you for the great ideas. Especially love the list of fun ideas provided. Thank you for sharing these great ideas! 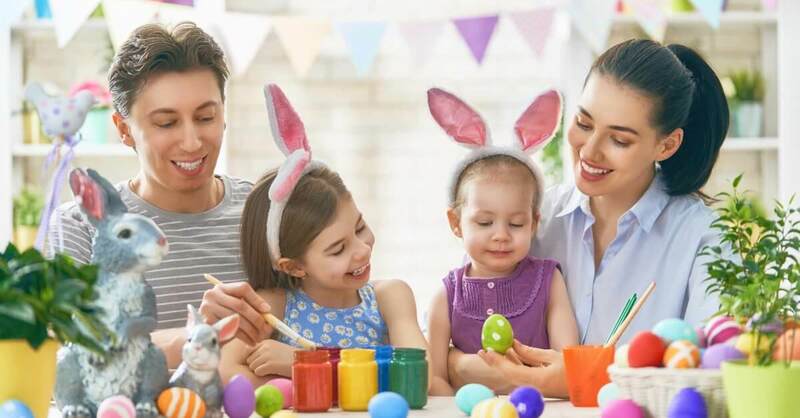 I’m out of good ideas this easter and PT came up with this non-toxic ideas. These are wonderful ideas. I have made a bunch of DIYs to give as Easter gifts, including lotion bars, balms, lipbalms, roll-ons and more. Thank you for the Easter ideas. My kiddos love the bath bomb stuff so I think that we will make some together for them. I’m so excited for Easter especially with you by my side plant therapy!! Love the blog!! These are all great ideas. We reuse our baskets and even the Easter grass each year as weird as that sounds… I bag it back up and store it with the baskets. Great gift ideas! I already ditched the great years ago but tried edible grass one year… It was gross the kids said lol. Thanks for all the great tips! These are all such great ideas! Always looking for more healthful and natural alternatives to the traditional sugar and chemical-laden Easter basket. Thank you for these wonderful suggestions! I’m always looking for ways to change it up and make it more environmentally friendly! Could even make the Easter grass from left over papers at home! Ummmm… genius!! Filling my cart now with easter supplies. I really enjoyed the additional options instead of the plastic grass. I am thinking the peanuts idea for this easter! Great suggestions. I use sand buckets as easter baskets so they have another use. I bought my daughter a rather more expensive basket for her first Easter with the plan of using it every year! Great ideas! This is awesome. Thanks so much for the tips! Awesome tips! I love to diffuse essential oils instead of burning candles! I love all the spring essential oils.. fresh meadow is the best!! Love this. I love having more non toxic options for my kids. Thank you!! These are great tips! 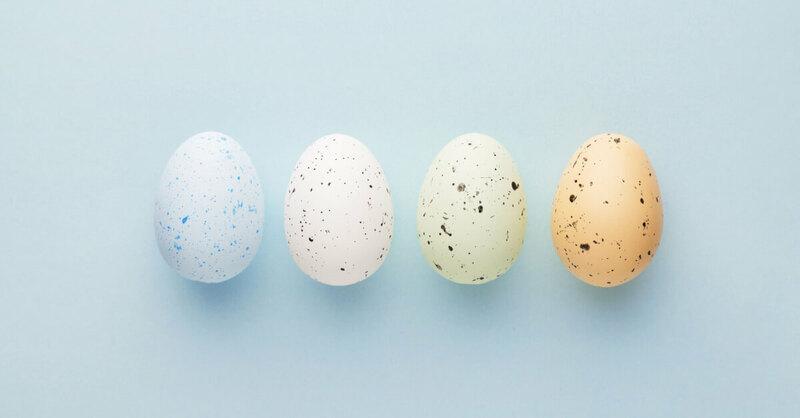 One of my biggest concerns is using non-toxic dyes for coloring eggs. That would make a great addition to this article! I love all of these ideas. We no longer use candles and try to use as many non-toxic and organic items as possible. I still have a few Yankee Candles in our home but I never use them. I diffuse, diffuse, diffuse. Its just a cleaner option. For now, my candles are in my linen closets, lid open. What else am I going to do with them? I’m happy to have candles out and oils in! Love the diy gift idea! And the wicker reusable baskets are great for many other uses. oils are way better than candles! 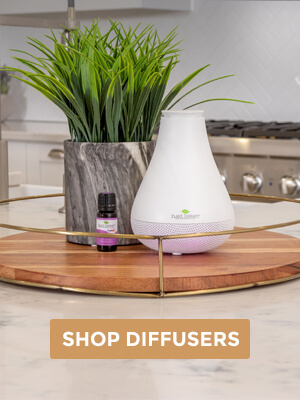 I’ve never been in love with the smell of a burning candle but I absolutely LOVE the smell of essential oils diffusing. Great idea! I love how you’re conscious about our environment. I got my kids Easter baskets when they little and now their littles use them. They love that theyret using them . Great memories to share. Very nice ideas by the way. 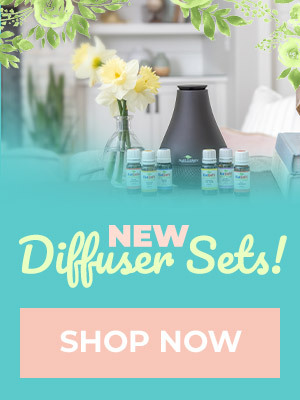 I am loving the spring weather and super excited about celebrating Easter with my family + I love diffusing and replacing candles with oils. And I HATE the plastic Easter grass. Those are great substitutions . Reusing baskets with recycled paper here!! The fresh scents in the Spring Blends are making the house smell delicious!! I got a reusable Easter basket for my daughter’s first Easter and have been using it ever since. I’m so excited for the tradition. I love pairing florals with the spring time. I get impatient waiting for them to grow outside! I’m slowly but surely ditching the candles. I love Plant Therapy and my essential oils. This is very helpful information. I am trying to incorporate more natural and organic into my life. I especially love the idea of diffusing oils instead of burning candles. I started doing this since I started using oils. It’s still refreshing but healthy at the same time. Great ideas. I’m making homemade soaps scented with sweet orange essential oil to include in the kids baskets this year!